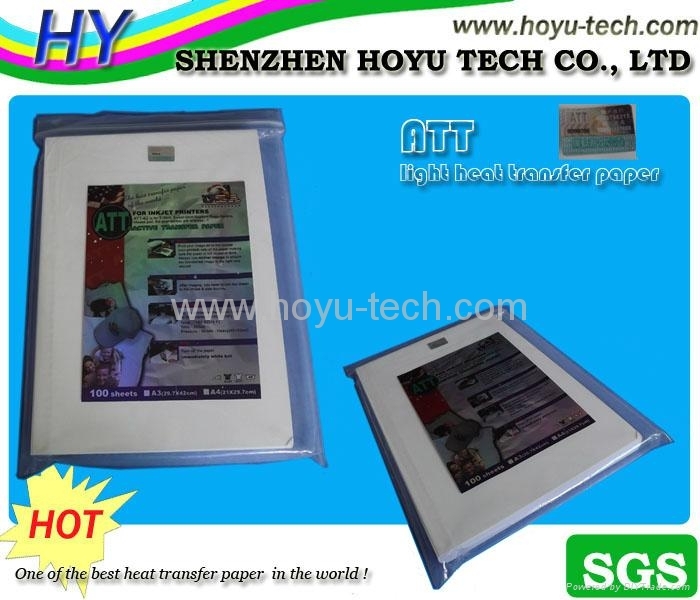 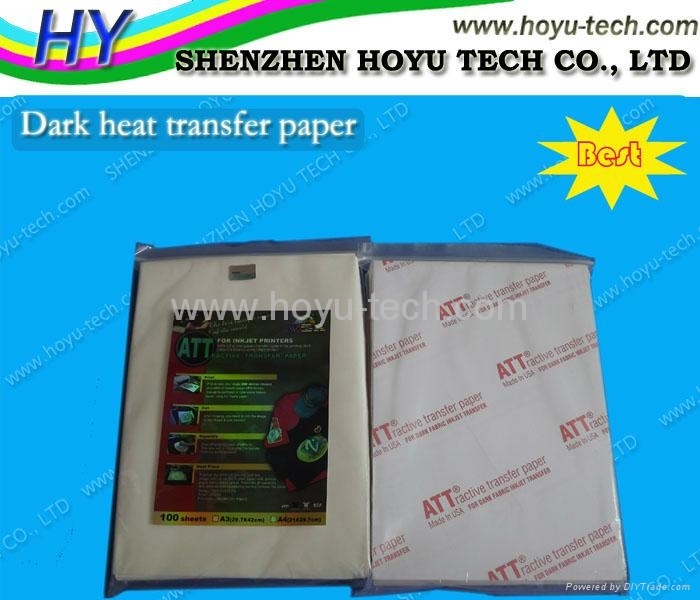 Description: ATT inkjet transfer paper is for dark garments. 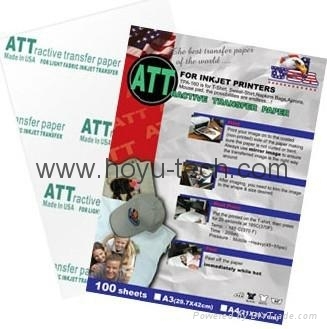 Great printing and transfer result. 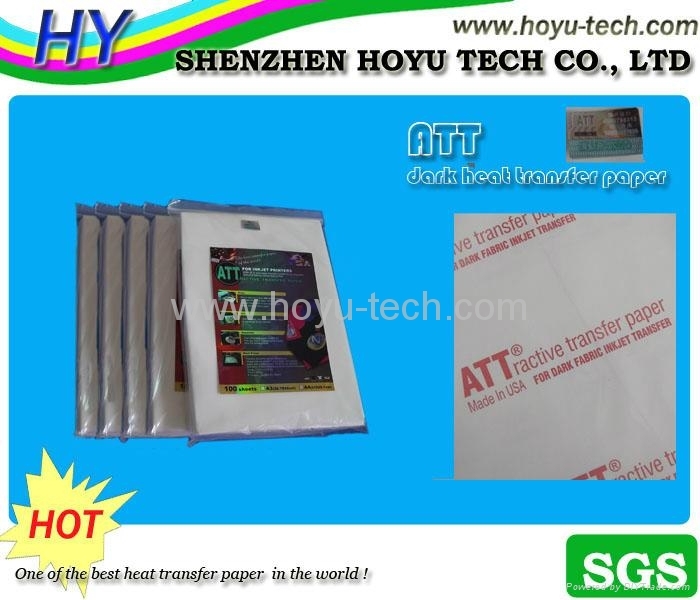 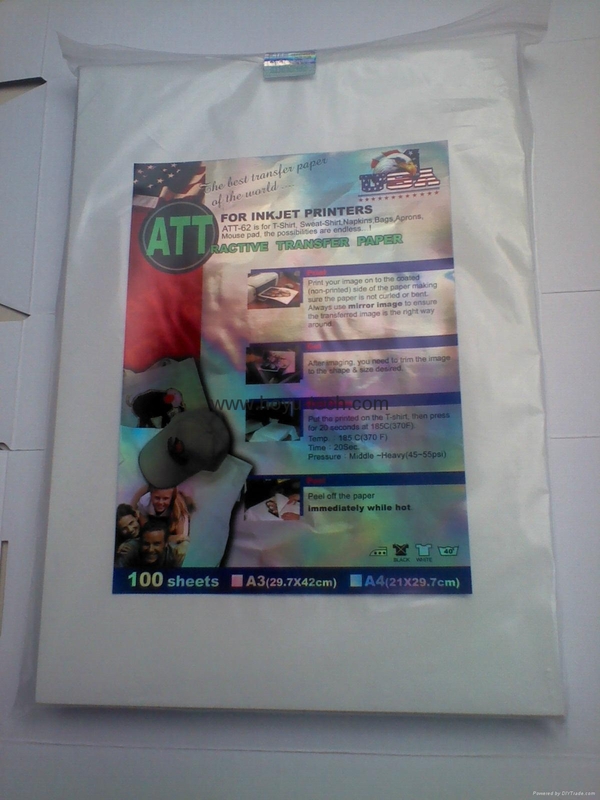 This is the best transfer paper for dark color fabric in the world. 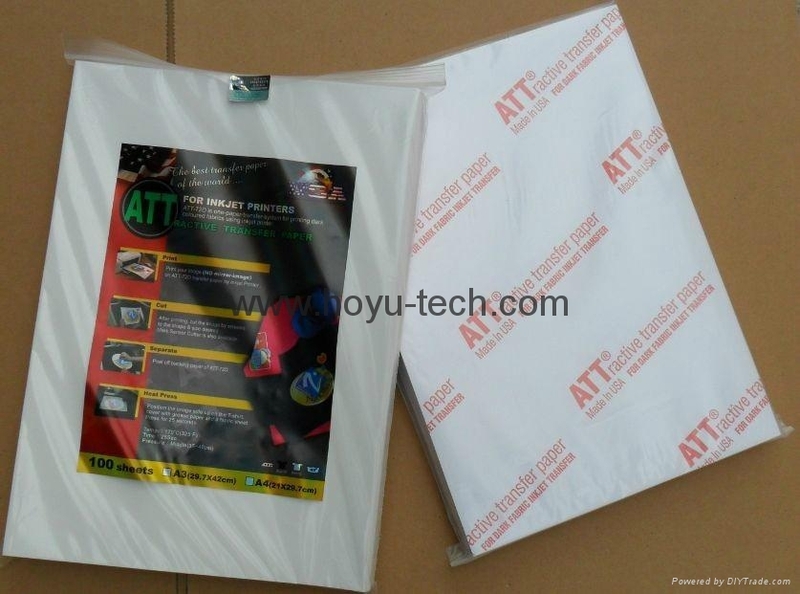 Suitable for: T-shirts, sweatshirts, apron or just about any cotton, cotton blend or polyester fabrics.